The places and people and cultures I have photographed has irrevocably changed me. The beauty of human expression and the intoxicating allure of movement frozen in a split-second moment have created in me a reverence for the diversity of how we express ourselves to each other visually. 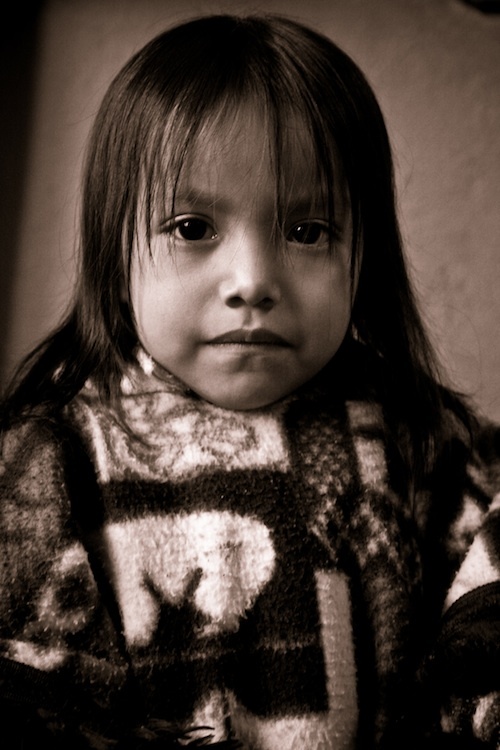 Probably the best photograph I’ve taken is of Brenda, a girl at a market in Guatemala City. The silent trust she showed as I knelt down to photograph her and her expression of somber joy seared into my mind the what Salgado explains about the nobility and strength of the people he photographs: “If you take a picture of a human that does not make him noble, there is no reason to take this picture. That is my way of seeing things.” ~ Salgado. To me, to photograph is a religious act. Indeed, the very posture I take when photographing children is kneeling in a posture of prayer and submission.